Lastovo - colorful islands in the south - Explore Croatia Become a Patron! The further south you go, the more preserved the nature is. Although these ecosystems are not easy to reach by modern means of transport, the most distant Adriatic islands have preserved their Mediterranean soul, avoiding mass tourism and excessive urbanization. 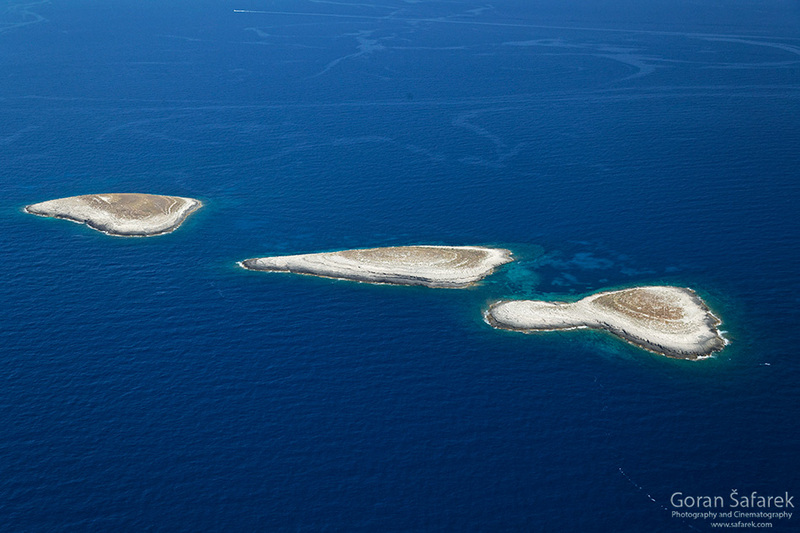 The Lastovo Archipelago is scattered throughout the southern Adriatic, some 15 km from the Island of Korčula. Ancient villages, deep history that date back to Geek period, great rocky beaches and lushness of the vegetation are perfect for tourist seeking for silence and nature. 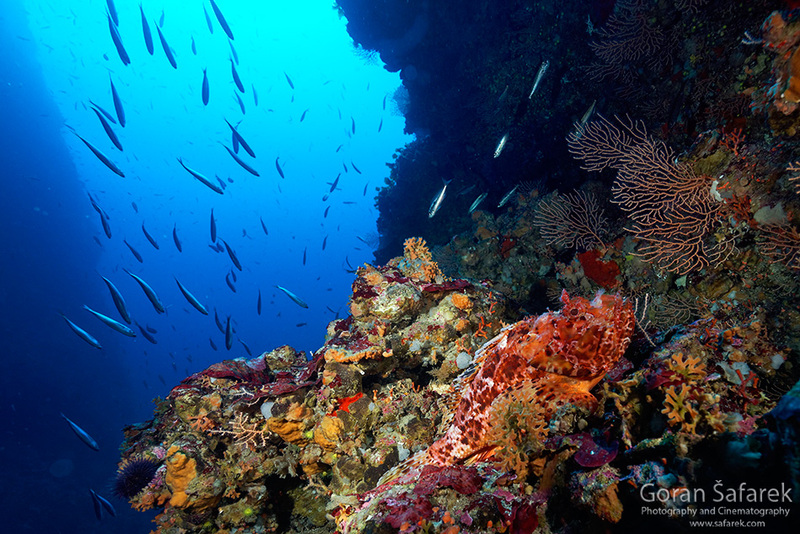 Blue depths of the islands keep unmatched sea life, with colorful gorgonians and shoals of fish. Dive into the Lastovo and discover the true Mediterranean, the Nature Park Lastovo. 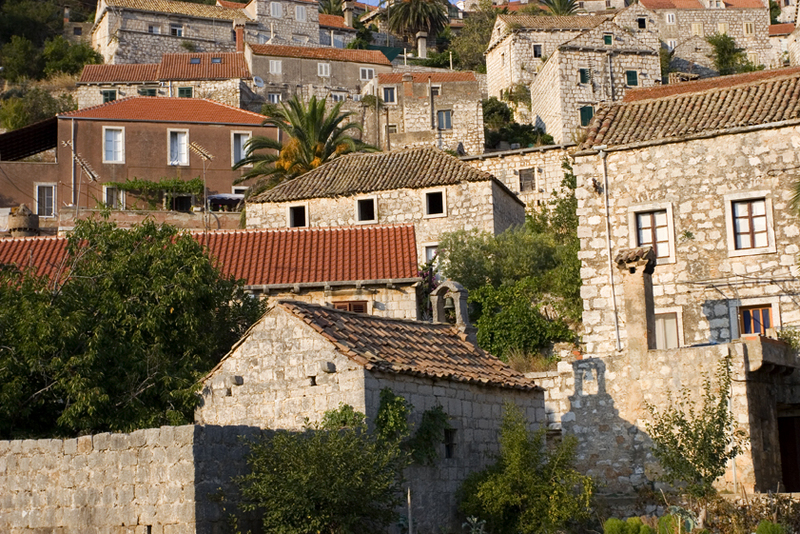 Lastovo is one of our TOP 10 natural spots in Croatia and TOP 10 islands. The largest and most central island is Lastovo, but there are also some forty islands, islets and reefs, anchored in the Palagruža undersea threshold rising from the depths between the shallower Adriatic Sea in the north and the very deep basin of the South Adriatic. The westernmost and the furthest of all is Sušac, followed by the western archipelago; to the east of Lastovo is a group of islands called Lastovnjaci, and even further to the east, Vrhovnjaci. Some of them are only bare stone caps, peeking slightly above sea level, washed over by waves and exposed to winds, with only a few tough plants growing here and there. Lastovo was declared a nature park in 2006. Visiting Lastovo Island is convenient as the island has daily fast catamaran ferry and car ferry connections with Split as well as less frequent catamaran ferry connections with Korcula, Mljet and Dubrovnik in summer season. Lastovo has only one port – Ubli. Here, karst rises from the sea, creating numerous mounts, some of which are bare rocks. Lastovo’s highest peak, the 417 m tall, Hum, offers a great view of this landscape. From this peak, you can see arable valleys in the midst of the karst landscape, formed into impervious dolomite zones, but also containing sand brought in by the wind, which is a unique phenomenon in the Croatian karst landscape. Industrious island residents have grown small olive-groves, vineyards and vegetable gardens there. In order to irrigate the fields and provide water for cattle, they built many pools – small oases where many wild animals also come to quench their thirst, some of which have even become permanent residents, like green frogs, snakes and insects. The town of Lastovo has crept up the hill like a grape vine, with its ancient stone walls underneath and red roofs sparkling in the midday Mediterranean sun. Almost every roof boasts a fumar, a chimney – one more creatively-shaped than the next. Commemorating the defense of the island from raiders back in the 15th century, the residents of Lastovo burn a dark-skinned straw dummy on Shrove Tuesday every year. However, the rest of the island, except the villages, is mostly covered by forests which prefer the olive climate – an abundance of sun and gentle, rainy winters. Granted, the forest primarily consists of Holm oak and Aleppo pine maquis shrubland. The most prominent feature of the forest is the delicious, orangeto- bright red fruit of the strawberry tree, a common shrub resembling laurel. Every now and then, you will hear lizards rustling, but you need not fear getting bitten by any venomous snakes because there are none on the island. Climate, a solitary position on the open seas, exceptionally-deep soil, an abundance of sunlight, as well as nighttime humidity give Lastovo and the entire archipelago a great natural value. Eight hundred and ten plant species have been identified. They include endemic species, like Mauritania grass, which only grows on Lastovo. 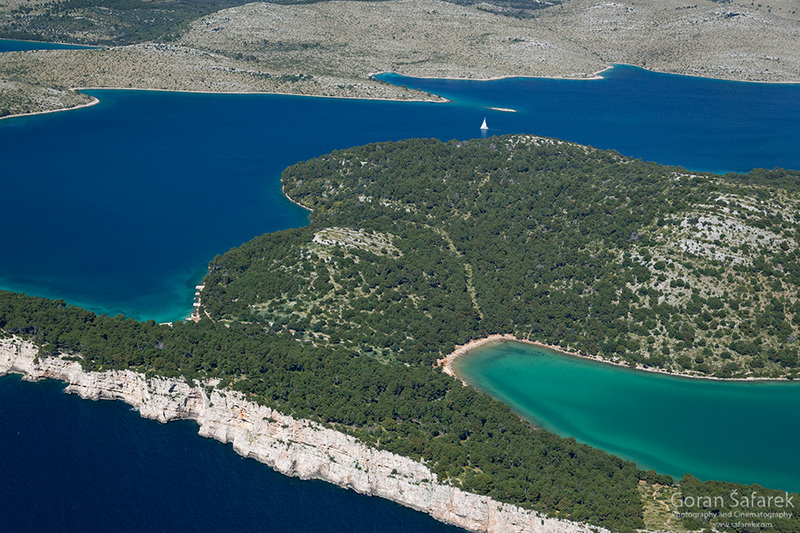 Coves can also be seen from Hum and other peaks, although the island’s coast is not as indented as the rest of the Adriatic. However, the sea extends deeply into coves like Skrivena Luka, and particularly into the nearby Uska Uvala, which is more like a tiny fjord. A contrast to this is the steep and tall coast, at the foot of which the sea gurgles in caves and semi-caves created by the incessant lapping of waves. Mediterranean monk seals once used to inhabit the solitary cliffs of these sea caves and the fact that islanders still occasionally encounter former residents there stirs up hope of their return. The archipelago even boasts a sandy beach on the island of Saplun. 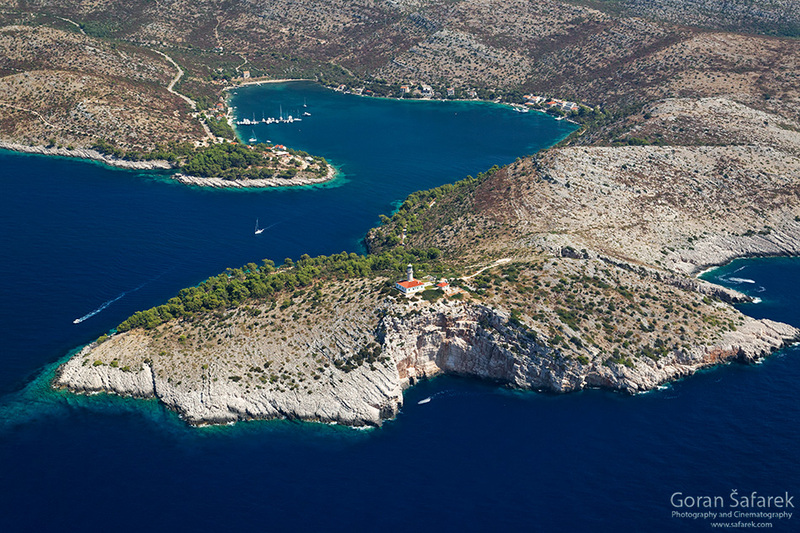 Whenever the fickle sea allows one to sail some 20 km to the west of Lastovo, a rocky fortress in the midst of the sea – the Island of Sušac – can be reached by boat. Stony ground, strong winds and lack of rain allow for the survival of only 278 species; however, endemic species can always be found in extreme conditions. Sušac has eight of these species, the most striking of which is Brassica Cazzae, which can be found in the crevices of coastal rock. In addition to plants, this is the habitat of very interesting birds – petrels, a bird family which includes the famous albatross. They have their nostrils enclosed in one or two tubes on their straight, deeply-grooved bills with hooked tips through which they can eject sea salt. Also nesting here are the Yelkouan shearwater and Scopoli’s shearwater. These are the true birds of the sea as they, besides nesting, spend almost no time on land. In flight, the Yelkouan shearwater resembles a flying cross, as its wings are perpendicular to the body. It flies very low, and the tips of its wings almost brush the water’s surface. It feeds on fish and mollusks, and thus, often follows fishing boats. The archipelago is also important for the Audouin’s gull, and the local population accounts for as much as 70% of Croatia’s entire Audouin gull population. It is a small bird with dark green legs, a red ring around its eye and a red beak, at the tip of which is a narrow vertical black line. In autumn, the extremely dark Eleonora’s Falcon watches over the cliffs, as it waits for tired small birds migrating south to stop on the island for some rest. 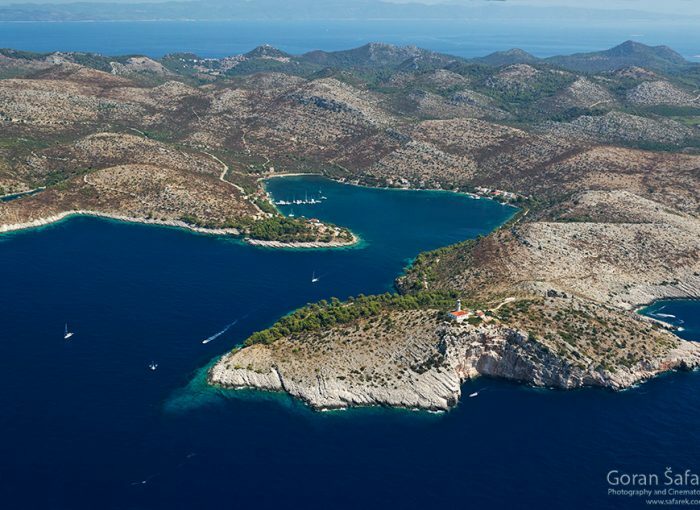 However, many believe that the true treasure of the Lastovo Archipelago is beneath the sea’s surface. One needs to dive into the crystal-clear sea where a true spectacle of life takes place, where there is an abundance of shapes and colors. The rock crevices provide shelter for octopuses, while cuttlefish “disguised” to resemble the environment, creep along the seabed. 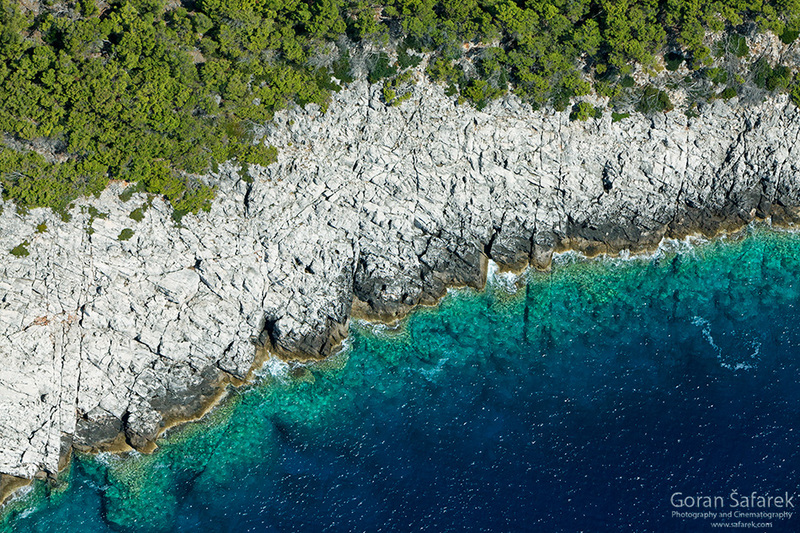 The rocky seabed of Lastovo often provides a home to the spiny lobster, the European lobster, small slipper lobster, as well as to rare snails like the Triton’s trumpet and the zoned mitre. Near the bottom of the sea, one can often find the red scorpionfish and see the common dentex and the greater amberjack preying on other fish, while the European conger, the Mediterranean moray and many other fish species lurk. Tuna, swordfish, several dolphin and sea turtle species all cruise the open seas. Lastovo’s seabed is abundant with many coves, shallows and depths, sea reefs, underwater canyons and hidden passages. But the greatest secrets may be hidden in the even greater depths near Sušac, a uniform blue-green space where the sun’s rays can barely reach. 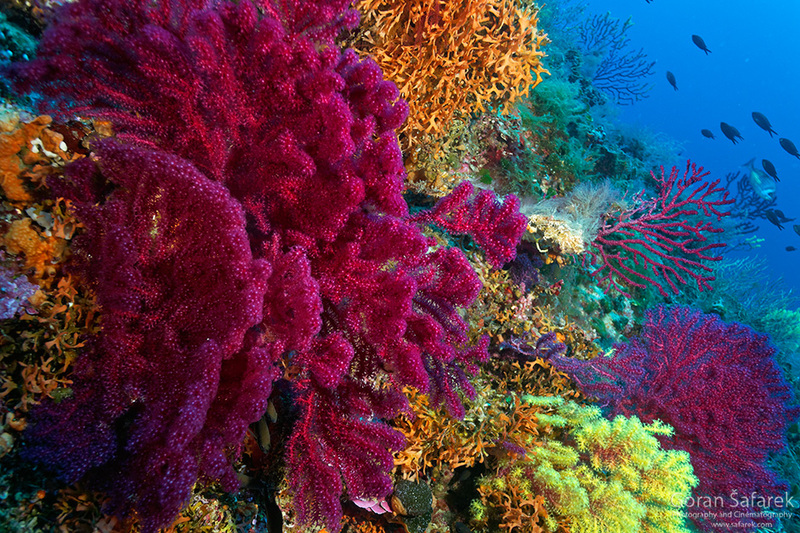 Using a lamp will restore colors and make beautiful yellow and red gorgonians forests come alive, as well as variously-colored corals as schools of fish swim by. Unfortunately, this is a scene becoming more and more rare in the Adriatic. Excessive fishing and sea bed destruction have taken a toll on these beautiful animals. Some 90 individual coral species and those living in groups in the Adriatic belong to the Cnidarians group. Although far away, the Lastovo archipelago is an indispensable piece in Croatia’s big natural mosaic. Lastovo is for nature oriented people, who want more solitude. There is no great nightlife and there is only one true hotel (Solitudo), so the only choice ara private accomodation.